Imagine having an exciting and rewarding career as a recording artist. When you become a recording artist you can touch people's lives through your music, while making money doing what you love. 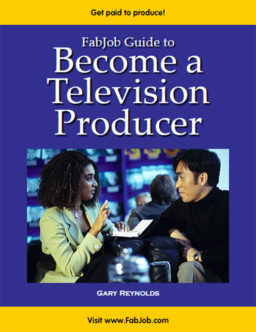 The guide's author is Kathy Baylor, who has worked in the music business for over 12 years with Motown Records, Sony Music, Midnight Songs (a music publishing company under Polygram) and Universal Records, where she was responsible for finding and signing new talent in urban, pop, and alternative music. You can have all this and more for an incredible special price. People pay hundreds of dollars to attend conferences about the music industry. 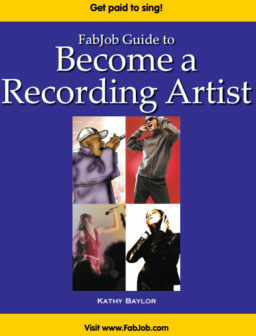 The FabJob Guide to Become a Recording Artist gives you some of the best career advice you could get from other sources, plus much more. The information in this recording artist guide can save you many hours of research, help you avoid some costly mistakes, and give you information you need to sell your own music, get a record deal, and succeed as a recording artist. You can earn back the price of the guide many times over with your first recording, and if you have what it takes to succeed as a recording artist, this guide can help you get a recording contract much more quickly. If you believe you deserve to have the career of your dreams, this guide is for you. 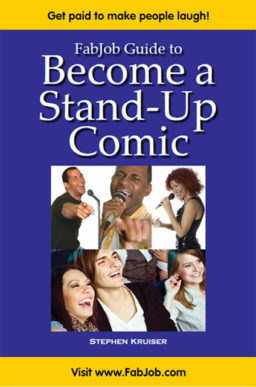 It gives you what you need to know to become a recording artist.